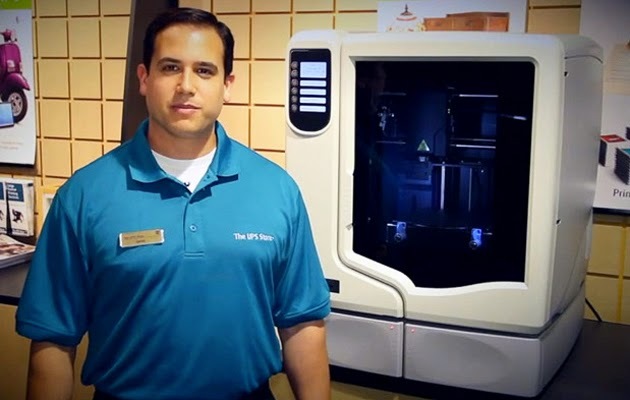 UPS' experiment with in-store 3D printers apparently went off without a hitch -- the shipping service has expanded the availability of 3D printing services from six test markets to nearly 100 locations across the US. While the hardware is still concentrated in a relatively small batch of cities, such as New York and Chicago, there's now a much better chance that a shop near you has the gear for printing everything from prototypes to one-of-a-kind phone cases. There's no word of any additional rollouts at this stage. However, it's reasonable to presume that more stores will get on-the-spot object making if it proves popular with crafters nationwide. Now small business owners, inventors, entrepreneurs and consumers across the country will have access to top-notch 3D printing services. The Stratasys uPrint SE Plus, selected by The UPS Store, is a professional grade 3D printer designed to accurately and reliably produce complex engineering parts, prototypes, and one of a kind objects.